Functional protective cover for daily use and easy storage. For daily use, place the stamp on the "unlock" side of the cover. When not in use, turn the stamp to the other side to lock for easy storage. that is suitable for long term use. stamp in the desired position. 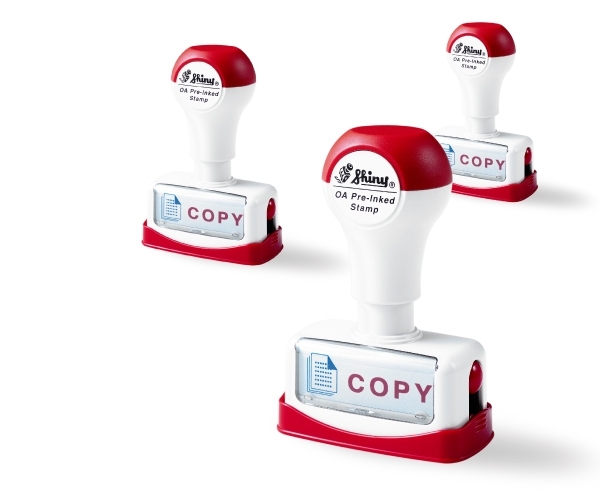 Designed for easier ink-refilling, simply press the release buttons to release the plate from the stamp.